Did you know that there was a time when watercolor gained ground over other techniques, because it was cheaper, for example, than oils? When it comes to art, there is a huge contrast between value and price. 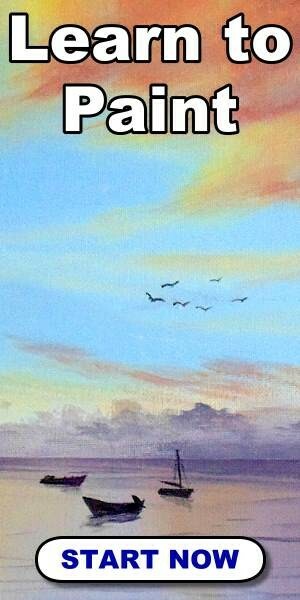 The price, the cost, of making a painting may be low, but the value it will have will depend on many factors. Another proven fact is that it is still more difficult to sell paintings in watercolor than, for example, in oil. But talent and creativity break barriers and nowadays there are beautiful watercolors among the most expensive paintings in the world. Let’s take a look and a tour of some of the works of art in watercolor that have been sold for more than six figures. This work was sold for $1.96 million on 2013, and was the most expensive painting purchased on line. This watercolor painting presents a half-naked woman, lying face down, with the sensual and impressionistic style that characterizes this artist. The piece was sold in an electronic auction on the Auctionata site, and the results were very good. the portrait of the girl who sees, with no traces of shame, her spectators, was the best sold piece, almost a century after being painted. 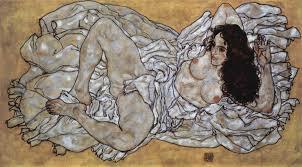 Egon Schiele’s work has become quite popular because of the rawness of his lines and themes. His particular way of representing the human body between nudes, casual poses and lines of color and pencil, have placed him at the top of the reviews. If you are already familiar with the work of this Austrian, you can not deny that it leaves a mark on you: you simply can not stop looking at his pieces. His works are exhibited mainly in the Leopold Museum, in Vienna, and some of his paintings have been sold for more than US $ 40 million. The frankness of the work of this painter, who often took himself as a model, is captivating. It is about paintings with soul, with temperament, with temperature and breathing. Egon did not fear the censorship of his time, nor did he imagine that the violence of the bodies he portrayed would still offend susceptibilities, even in our days. Joseph Mallord William Turner is considered a master of watercolors. His technique and the precision of his stroke allowed him to portray with color and light, in a masterly way, landscapes of his time. Both the artist and his works became immortal. So it is not surprising that one of his most acclaimed works was sold for US$9.9 million at an auction organized by Christie’s. At this price, Turner’s work became the most expensive watercolor in the history of Great Britain. 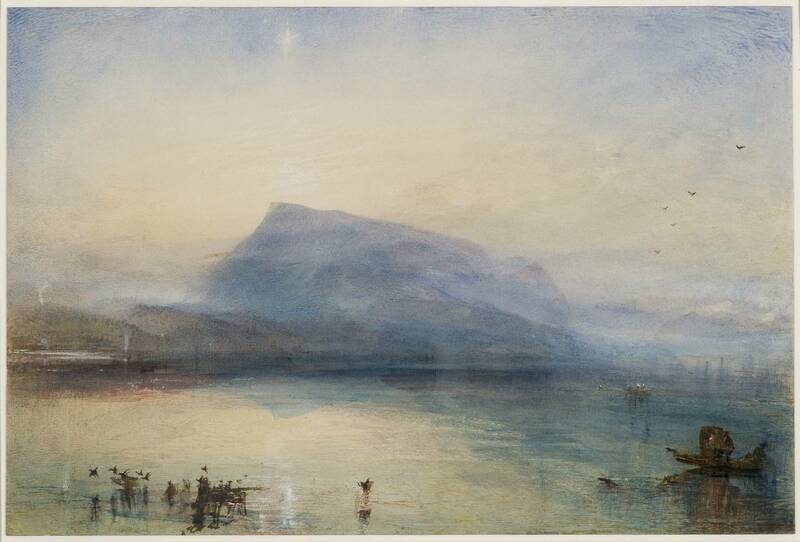 “The Blue Rigi: Lake of Lucerne, Sunrise” was painted in 1842. Over an 297 x 450 mm paper support, the painting is a representation of the Lake of Lucerne, under the light of dawn. The background is mixed with what appears to be a hill, blurred by the haze, and the water, in which some plants and rocks are delicately reflected. It is an image that transmits serenity. The fame of the author caused great expectation over the announcement of the auction. Sure, we can not all afford to even think about participating in an event like this, hahaha. In the case of Harvest in Provence, one may think that the price that it reached is due to the popularity of its author. This is paradoxical, since good Van Gogh could not sell his paintings in life. The work, auctioned in 1997, was purchased by an anonymous collector who made his offer by telephone. The colors of that summer afternoon are, preeminently, the yellows, mustards and browns of the corn bushes already cut and collected. Above, a blue sky combines the movement that can be guessed leaves the breeze between the clouds, and the ripples of the summer heat. 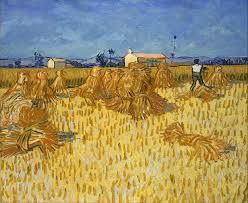 Van Gogh is one of my favorite painters. Totally misunderstood in his time, he painted things, people, life, not how he saw them, but how he perceived them, how he felt them. In that particular style that combines fine and thick brushstrokes, solid colors and attenuated, watercolor was one of his techniques used, especially when painting outdoors. The record of this artist is US$82.5 million for “Portrait of Dr. Gachet” (1890), also auctioned by Christie’s in may of 1990. 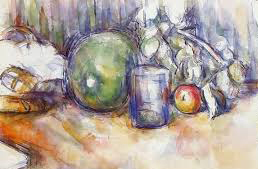 Still Life with Green Melon”, an aquarelle finished in 1906, is considered one of the most important watercolors of the french impressionist master Paul Cézanne. That’s the main reason why it was sold in 2007 for the record priceo of US25.5 million, in an auction of Sotheby’s impressionist and modern art. The work was purchased by an anonymous buyer. The price paid for it was higher than Sotheby’s estimated maximum, which was US$18 million. If you are not familiar with the work of Cézanne, this still life is a good way to introduce yourself to his world of superimposed lines and color. His technique included straight and rigid strokes with light, soft colors, “washed” over the image. This French painter, master of impressionism, makes a masterful use of lights and shadows, with no resources other than the white of the paper and the thickness of its colors. Results like the ones of this auction show how nowadays more and more collectors are turning their tastes towards all kinds of works, including the once “cheap” watercolors. And yes, as you have seen, they are willing to pay good money for them. We have reached a part of this ranking of expensive watercolors that I particularly liked very much: it turns out that Chinese watercolors have become popular and are selling very well. When you see the works, you understand why. 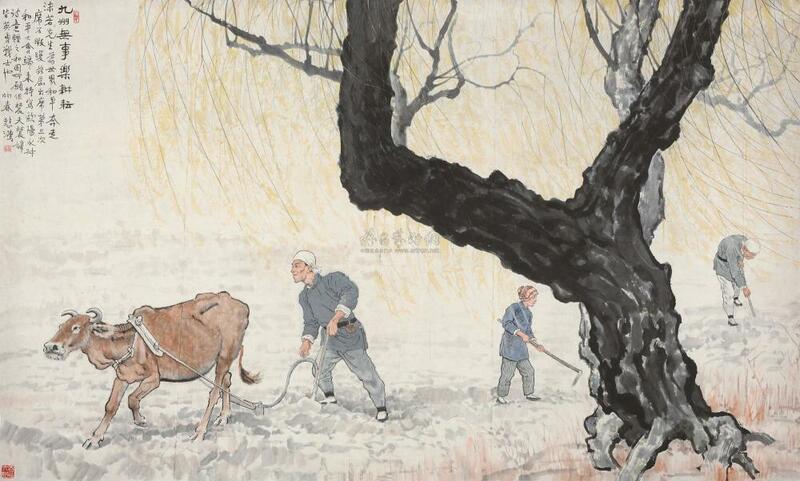 Let me introduce you to Xu Beihong, one of the most renowned Chinese painters of the first half of the 20th century. His work on paper “Cultivation on the peaceful land” was sold on 2012 at Poly International, in Beijing, por US$36.7 million. In his beginnings, he studied classical Chinese painting and calligraphy. He also prepared, during his adolescence, in art schools in Japan. The quality of his work allowed him to exhibit in different parts of Europe. Even during the Second World War, he did exhibition tours in Southeast Asia. He was so well known that after the war, when the People’s Republic of China was founded, he became president of the Central Academy of Fine Arts and chairman of the China Artists Association. This particular painting shows three farmers in full slaughter, with a beast of burden and its plows. In the foreground there appears, imposing, a tree with a dark trunk. Delicate Chinese calligraphy on the left side of the painting complements the image. The name of the painting is sweet and delicate, like the work itself. It evokes nostalgia and desire to return to the land of childhood. In addition to the fineness of the lines and the delicacy of the technique, this work takes up the beauty of classical Chinese painting. Another fact to note about this painting is that it was one of the last works of the artist, who painted it two years before his death. Qi Baishi was a chinese artist, born in 1864. A particular aspect of Qi Baishi is that in his beginnings he was trained in the Gongbi technique, a kind of quite realistic style, in which there is much care and attention to detail. The name comes from Chinese “gong jin”, wich means ‘tidy’, meticulous brush craftsmanship. It uses highly detailed brushstrokes to draw details very precisely, and it’s often highly colored. However, he later preferred to use the Xieyi technique: the freehand brush work, wich ncludes poem, calligraphy, painting and seal. 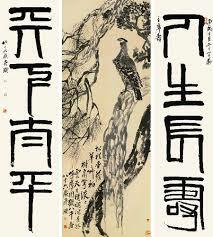 As you can see, “Eagle Standing on Pine Tree with Four-character Couplet in Seal Script”, the Qi Baishi’s aquarelle sold by US$57.2 million, is this kind of work. Even the name enumerates all the elements in the painting. And the Xieyi is something beautiful because it is not about painting the appearance of things, but its connotation, its spiritual essence. So surely, more than once, it has happened to you that you get mesmerized, hypnotized, when contemplating one of these pieces. As the themes of these works are nature and its spiritual connotation, it does not matter that we do not understand the meaning of the writing that accompanies it – I, at least, do not speak Chinese – but even so, the work has a relaxing and enveloping effect in who contemplates it. 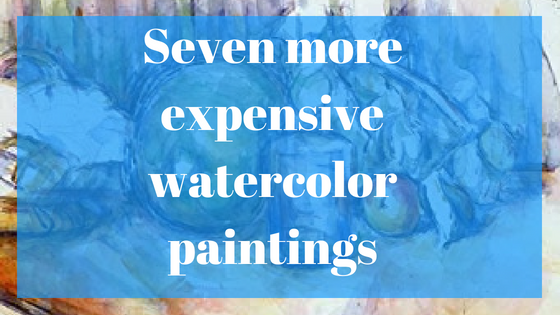 And here we are, at the top of our most expensive aquarelles ranking. And here, very far from other artists, we have, again, Qi Baishi. Yes, the free brush painter is the king. A series of our friend was sold at an auction in Beijing for US$144 million. It is a series of 12 landscapes, which was auctioned in 2017 in Beijing. It is, officially, the most expensive work of Chinese art in history. The auction started with a base price of US$ 68 million, which was raised and finally doubled by an anonymous buyer, who made his offer via telephone. 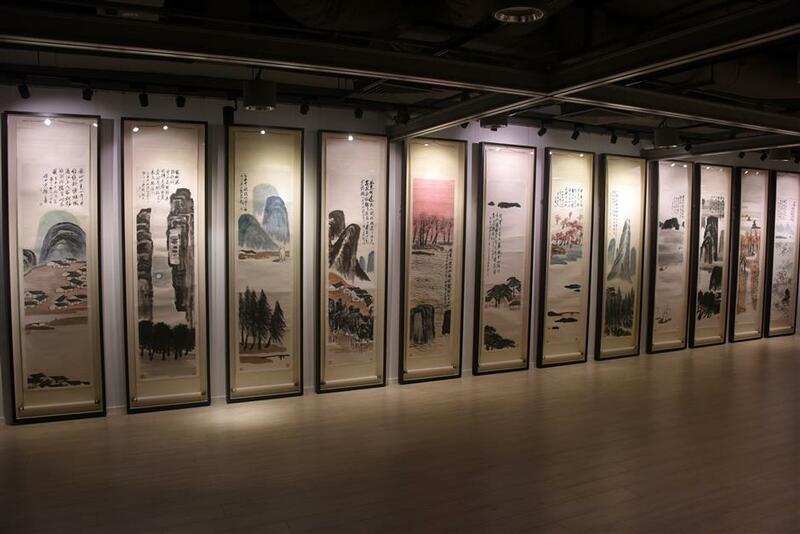 The series includes twelve vertical landscapes, 1.8 meters high each, and were painted by Qi in 1925. The paintings follow the style of China’s traditional landscape watercolors. The pieces were given by the same Qi to a doctor, friend of him, in Beijing. The paintings had changed owners several times, but they have always been in the hands of private collectors. The sale of these works, in December of 2017, became international news. Not every day you have a collector paying more than US$100 million for a series of paintings. One of the reasons why Qi gained fame in his time was because his is a story of overcoming. After being born in a poor home, with several brothers, he became a renowned painter. Under the precepts of Confucianism, one of the main religions and philosophical frameworks of China, to make a name for yourself and build a position in this life, starting from nothing, is something quite honorable, worthy of admiration. It is said that one of the greatest inspirations for Qi’s paintings, and the poems that accompanied them, were the landscapes he contemplated during his travels. Who knows if this painter ever imagined that a series of watercolors about his trips in the mountains, conceived to be given to a friend, would end up being the most expensive work of art in China. Up to here comes our recount of the watercolors that, to date, have been sold for the most stratospheric amounts. We must remember that the art world is quite dynamic, and so is the collectors, who with their tastes and preferences determine what type of pieces become more or less demanded, and how much they are sold. The sales channels of art have also changed, and it is possible that electronic auctions open doors to new levels of supply for works painted on paper, by expanding the universe of potential buyers. Any other reason to continue painting? Take your watercolors, your brushes and your paper and let your imagination fly. Who knows if in the future one of your works will end up breaking records … and checkbooks.